New Listing! - Best Priced Condo at The Roxbury! Best priced ($219,950) one bedroom with a balcony in the Roxbury! This unit is in lovely condition, with very large and open rooms and a balcony off the living room which overlooks the inner courtyard. Complete with an Eat-in Kitchen w/ newer appliances, a lovely Bath with a newer vanity and a large bedroom with a wall of closets, this light and bright condo is priced to fly out! Close proximity to New York City bus and rail and the picturesque town center. Pool, tennis and large exercise room for residents. Fantastic location! Fantastic price! Click here for more information on this Bergen County home including price, location, bedrooms, bathrooms & more! Browse through my Featured Bergen County Homes! Learn what Every Home in the Pascack Valley region of Bergen County sold for last year! Did You Miss My Open Houses This Weekend? - Click to learn more about them! River Vale, New Jersey - An Incredible Place to Live! - River Vale is a small town located at the northern end of Bergen County, New Jersey. Filled with community events, small town charisma and an ever expanding & continually impressive town center, River Vale is a wonderful place to call home! New Listing - 6 Year Young Center Hall Colonial - Presenting an absolutely incredible home in a beautiful neighborhood of upscale and custom colonials with lots of goodies. December Sold Homes Reports Are Here! 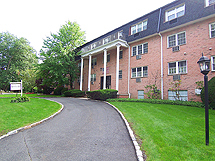 - December of 2008 saw the sale of 27 Pascack valley homes! Want to know more about them? Did You Miss My Open Houses This Past Weekend?! You just missed my Open Houses this past weekend! Call me on my cell for your private showing! 201-615-5353. 736 Westwood Ave in River Vale ($1,195,950) is a light & bright Center Hall Colonial w/ Southern exposure, remarkable appointments and an exceptional open flow! In addition to the Living Room & Formal Dining Room (w/ Butler’s Pantry), there is an immense 2 story Entry w/ marble & a Palladian Window and a 2 story Great Room complete with a fireplace and a Wall of Glass overlooking a deep, private & picturesque rear yard. The huge Center Island Kitchen has upscale Cherry Cabinetry, Granite Counters, a Breakfast Room, Stainless Appliances & a Breakfast Bar for remarkable living and entertaining! The romantic Master Suite boasts a tray ceiling, a room sized Walk-In closet and a Master Bath of Your Dreams including a rain shower with body sprays, a whirlpool tub, custom tile work & dramatic views of the magnificent rear yard. With three additional bedrooms, 2 beautiful baths and a main level Guest Suite or 5th bedroom, this home is amazing both inside & out! Take a Virtual Tour, then come see this home in person! 8 Bigham Trail in Park Ridge ($945,950). Looking for a 6 year young center hall colonial with 5 bedrooms & 3.5 baths at the end of a double cul de sac? Presenting an absolutely incredible home in a beautiful neighborhood of upscale and custom colonials with lots of goodies including a huge center island Eat-In Kitchen w/ breakfast bar, granite counters, a breakfast room and custom wood cabinetry. There are huge rooms throughout this home with a main level 5th bedroom, an expansive Great Room w/ high ceilings & a beautifully appointed fireplace, and a Master Suite w/ high ceilings, a walk-in closet and a beautiful master bath w/ whirlpool & stall shower. This home also boasts 3 additional spacious bedrooms, all with hardwood floors and one with an additional full bath (3 baths on bedroom level). With a huge basement w/ high ceiling and a very spacious side yard & terraced rear yard w/ paver patio this home has exceptional value! Great curb appeal! Incredible Location! Take a Virtual Tour, then come see this home in person! Call me on my cell if you have any questions! 201-615-5353. Read more of my Bergen County Real Estate Blogs! River Vale Market Information for December 2008 - As we’re approaching the end of this year, here’s some local Real Estate Market information for the town of River Vale. New Listing - Remarkable River Vale Ranch! - Amazing and spacious one level ranch with updated interior is remarkable for its beauty & elegance..Very spacious rooms throughout this home..Lots of crown molding, hardwood floors..custom details..
Spotless Homes Sell! - Anyone who’s had their home on the market understands that this can become tedious as you find yourselves constantly cleaning! So the question you might ask yourselves… is it worth it? Undoubtedly, Yes! Especially if you want your home to sell quicker & for the best possible price! New Listing! 6 Year Young Center Hall Colonial! Click here, or on any of the pictures for more information on this home. Call me, Susan Laskin, on my cell to set up your private showing! 201-615-5353. ($945,950) Looking for a 6 year young center hall colonial with 5 bedrooms & 3.5 baths at the end of a double cul de sac? Presenting an absolutely incredible home in a beautiful neighborhood of upscale and custom colonials with lots of goodies including a huge center island Eat-In Kitchen w/ breakfast bar, granite counters, a breakfast room and custom wood cabinetry. There are huge rooms throughout this home with a main level 5th bedroom, an expansive Great Room w/ high ceilings & a beautifully appointed fireplace, and a Master Suite w/ high ceilings, a walk-in closet and a beautiful master bath w/ whirlpool & stall shower. This home also boasts 3 additional spacious bedrooms, all with hardwood floors and one with an additional full bath (3 baths on bedroom level). With a huge basement w/ high ceiling and a very spacious side yard & terraced rear yard w/ paver patio this home has exceptional value! Great curb appeal! Incredible Location! Click here, or on any of the pictures for more information on this home. Looking for more Bergen County Real Estate? Browse through my Featured Properties! Learn more about me from Real Estate Network Group! · New Listing! – River Vale NEW Manor Home! - Live in Elegance!! ($1,195,950) Brand New Construction ..Just Completed Custom Manor Home..Approx.4302 square feet of elegance and grandeur! · Spotless Homes Sell! - Ideally, a home that’s on the market should be completely spotless. So the question you might ask yourselves… is it worth it? Undoubtedly, Yes! Especially if you want your home to sell quicker & for the best possible price! · House Hunting? - Let’s say you just spent the day house-hunting. You’re taking walking tours of various wonderful homes in the area and contemplating all the possibilities your mind can imagine… yet at the end of the day, you find yourself having trouble differentiating between each home you just saw. · The Value in School Districts - The quality of the local school district is a strong factor when determining the market value of your home. Concerning potential buyers with children, this could be as critical a determinant as the appeal of your home. New Listing! River Vale Center Hall Colonial! 710 Wilson Court in River Vale ($488,950) is an absolutely delightful Center Hall Colonial with lots of goodies location on a quiet and lovely residential street in the desired township of River Vale. This home boasts a huge Master Suite with vaulted ceiling & two double closets, a Master Bath with a tub, stall shower & skylight and 2 additional spacious bedrooms and a full bath all located on the upper level. The main level has a very large front to back Formal Living Room with sliding glass doors that open to an expansive & private rear yard. In addition there is an inviting Formal Dining Room, an updated Eat-in Kitchen with sliding glass doors that open to the large deck & rear yard and a full main level bath. The lower level is a third level of living, with a spacious recreation room, a laundry and a home office. With an attached one car garage, central air and underground sprinklers, this home is a gem! Interested in more Bergen County Real Estate? Browse through my Featured Homes! New Listing - River Vale NEW Manor Home! - Live in Elegance!! ($1,195,950) Brand New Construction...just completed Custom Manor Home..Approx.4302 square feet of elegance and grandeur! New Listing - Remarkable River Vale Ranch! - Amazing and spacious one level ranch with an updated interior and is remarkable for its beauty & elegance..Very spacious rooms throughout this home..
Do You Know What You Want In A Home? - There are any number of factors that can come into play when you are searching for a new home. In addition to knowing what you want in your new home, it’s also important to consider which factors you can be more flexible on as buying a new home often involves a degree of compromise.